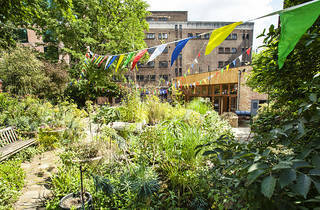 Finding somewhere to eat your lunch that isn’t your dingy office kitchen or a dirty bench on a busy road can be tricky in central London, so it’s welcome news that the Phoenix Garden has reopened after an 18-month renovation. 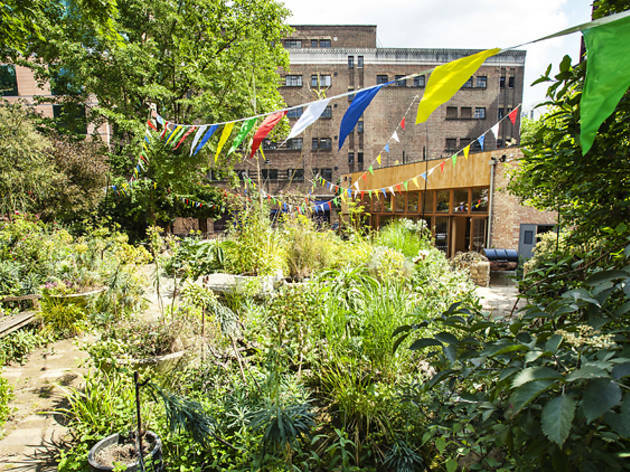 Tucked away off Shaftesbury Avenue, this hidden leafy oasis is one of the original seven Covent Garden community gardens and was built on a car park in the 1980s – like that Joni Mitchell song, except the opposite. It’s among the last remaining West End community gardens and relies solely on volunteers’ help and fundraising. (Oh, and it’s conveniently located right next to the Time Out office, but we’re not biased – honest). The garden was under threat of closure last year but was thankfully saved after a successful crowdfunding campaign raised nearly £19,000 to help spruce it up. As part of the revamp, they’ve built an event space for hire and they’ve even got a licence for weddings – so you can do a whole lot more than just scoff your sarnies there now. Find more hidden green spaces in London. As I'll be travelling to London next week, I would like to visit this wonderful garden. Can you provide me with the exact location?